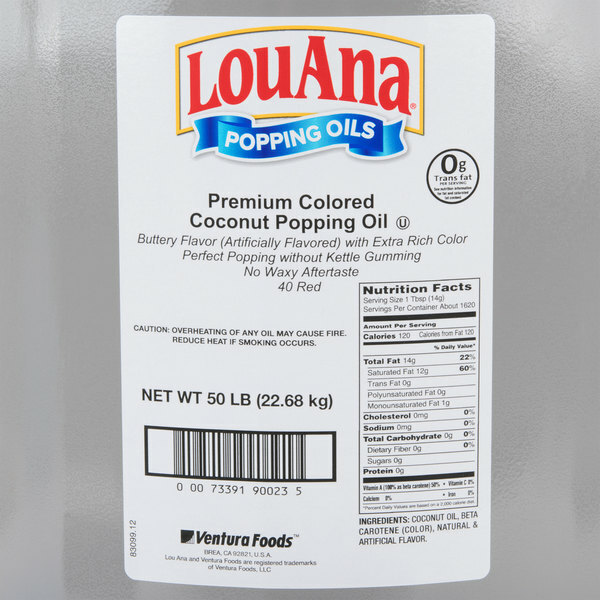 Use this LouAna coconut oil with butter flavor in place of butter, shortening, or other cooking oils! Coconut oil continues to be on the rise for its versatility and excellent performance, and this butter flavored oil is ideal for making popcorn. 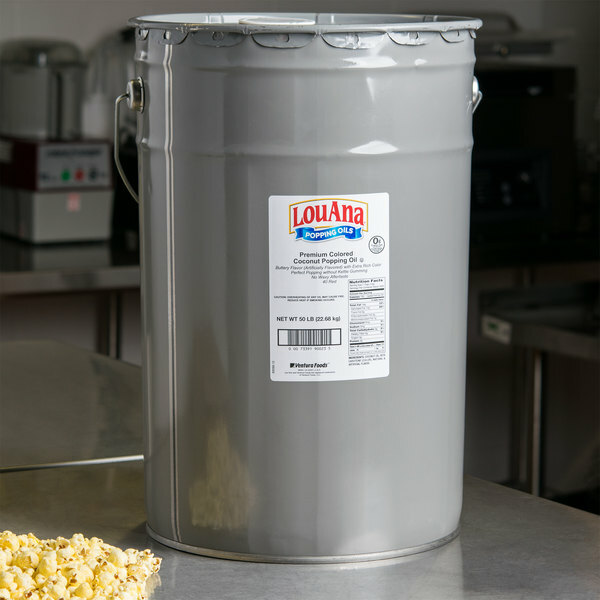 Not only will it help provide a better flavor and aroma for your popcorn, but your customers will love the movie theater quality taste! Compared to standard white coconut oil, this product produces a bright golden color to draw in your customers. This coconut oil is butter flavored, so you won't have to use any butter or butter substitutes. It is also non-hydrogenated, meaning that it is naturally trans fat free. 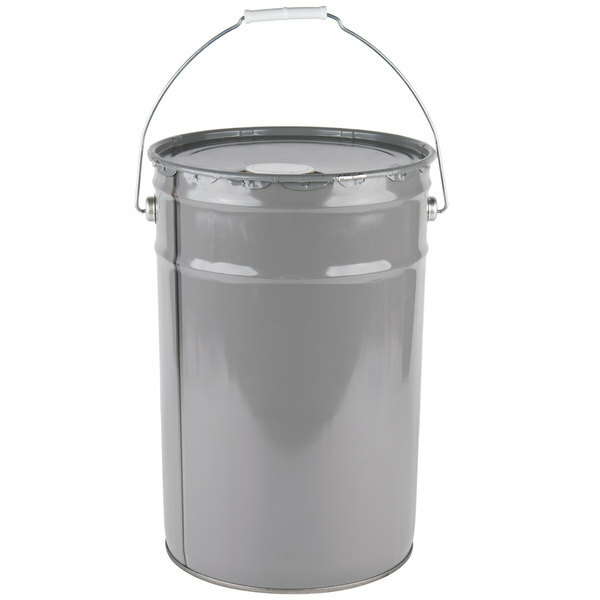 The pail and handle make transporting all 50 lb. 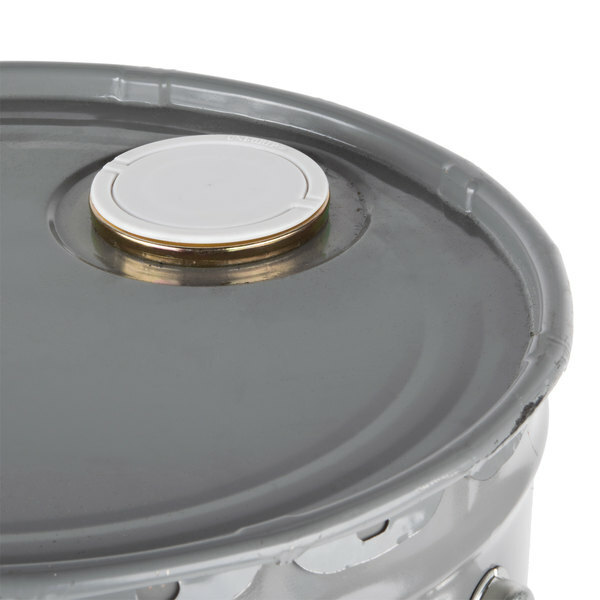 easy while the small opening near the edge of the lid provides easy access to its contents. 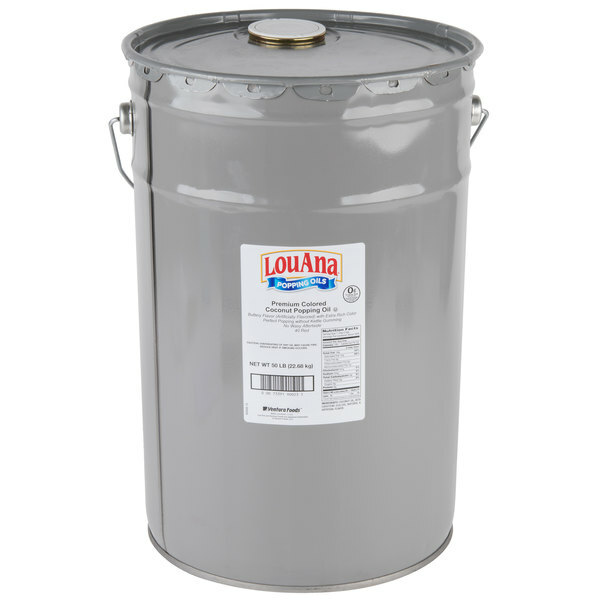 Stock up on this bulk 50 lb. container and discover the many uses of this coconut oil with butter flavor!